Training your horse on grass, without an arena? 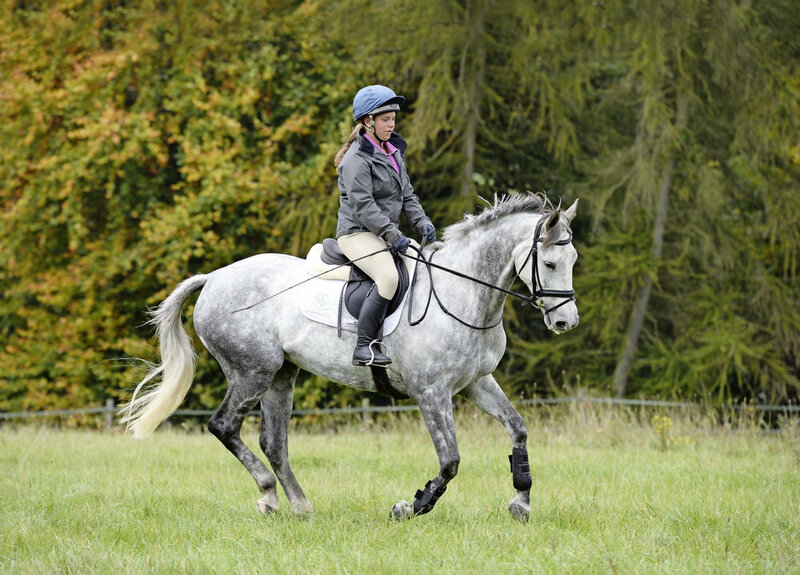 Here, event rider Rosalind Canter explains how to school effectively on grass. If your horse gets excited as soon as his hooves touch the grass, it can be tempting to stay in your comfort zone and only hack out for fun or as a nice stroll at the end of an intense schooling session. SET IT UP: Head to the middle of a flat field and picture an arena in your mind – this will be your schooling area and should be approximately 20x40m in size. Canter to trot transitions (especially when asked for on a corner) are an effective way to engage your horse and encourage him to lift his forehand and sit more weight onto his hindquarters, making him feel lighter in your hand. Using a hint of shoulder-in in your canter transitions will bring your horse’s hind legs underneath him, helping him to sit back, rather than dive forward into the transition. To do this, turn your body towards the inside of the area you’re working in and apply a half-halt on the outside rein, bringing more weight onto your inside seat bone. RIDE IT: Twice on each rein, performing a transition in each corner, or until you feel your horse is engaged and putting more weight onto his hindquarters. If you’re struggling, try trot to walk to start with. This exercise pushes your horse’s boundaries in trot and educates him to collect and lengthen his stride, improving his balance and getting him going uphill. RIDE IT: Twice round on each rein, or until you’re confident he’s going well and listening to your aids. If he’s going well, try shortening the trot even more, to the point where it feels like he could break into walk. Or, to progress the exercise even further, try lengthening and shortening his canter. You might find that your horse has a preferred leg and is better balanced on one rein than the other, but try to work him evenly. If you’re struggling to count the exact number of strides, try shortening along the short sides of the area you’re working in and lengthening along the long.